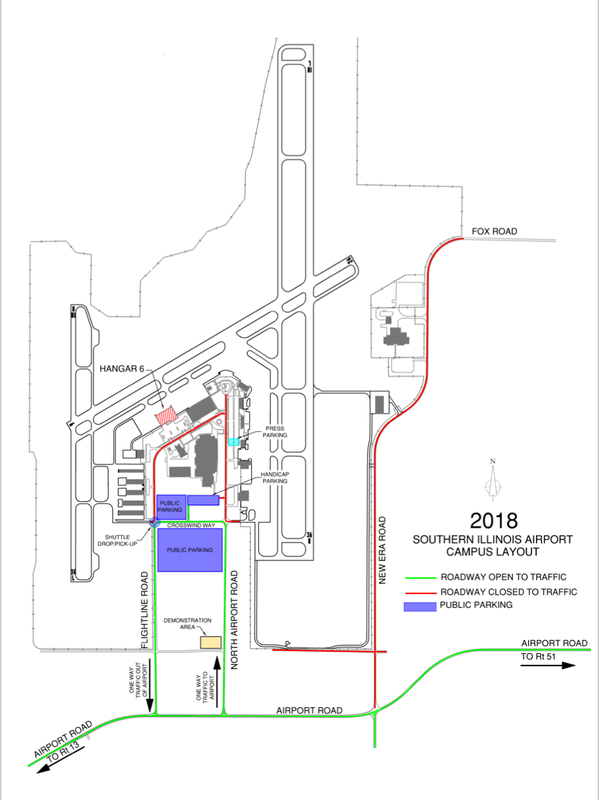 WSIL -- The Southern Illinois Airport has released new details about parking ahead of President Trump's rally for Congressman Mike Bost on Saturday. According to Airport Manager Gary Shafer, the airport will close on Friday evening at 9 p.m. to all auto traffic. It will re-open at 7 a.m. to automobiles for the event. There is no camping or vending permitted on site. No chairs, umbrellas, coolers or other items allowed on airport. All persons will pass through a checkpoint. Off site parking is still being worked out by the airport and the U.S. Secret Service.